For those unfamiliar with the Pillar series, it is an evangelical mid-level commentary aimed for “serious pastors and teachers of the Bible” (xiv) that takes a verse-by-verse format, much like the NICNT series. The series also uses the NIV (2011) as its base translation. The 33-page introduction sets the tone for the rest of the commentary: competent and concise. 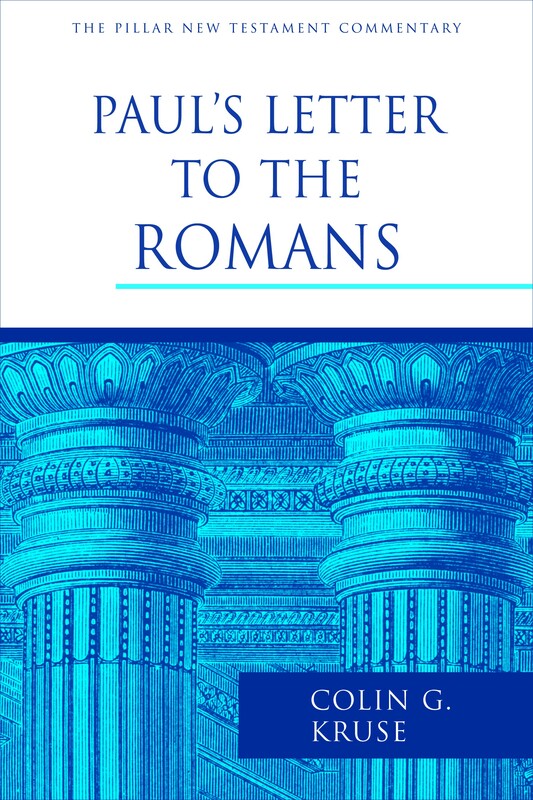 Kruse surveys topics such as Rome and Roman Christians, the purpose behind the letter’s existence, authorship and provenance, the integrity of the letter, Paul’s use of rhetoric, the influence of the New Perspective, and theological themes. Paul’s primary purpose for the letter is to “minister to the believers in Rome” (p11) through explaining his gospel, although Kruse allows for secondary purposes such as preparing the way for a mission to Spain and soliciting prayers for his visit to Jerusalem. As to the New Perspective, Kruse appreciates some of the insights it has produced, but reaches broadly “old perspective” conclusions. Although one should not choose a commentary based purely on its conclusions, it can help one’s decision so I have chosen a few representative samples below. Rom 2:6-11 is not hypothetical; rather it lists “behavior expected of followers of Christ, those who are already saved” (p124). Rom 2:14-16 refer to “Christian Gentiles upon whose hearts the law has been written by the Spirit, those in whom the new covenant promise to Israel finds fulfilment” (p132). Rom 3:22 is translated “through faith in Jesus Christ”, in agreement with the NIV. Rom 7:7-12 “refer primarily to Israel’s experience before and after the Mosaic law was given to them” (p298). Rom 7:13-25 “refer to the ongoing experience of the unbelieving Jewish person under the law” (p298). However, Paul “could readily identify” with this character when considering his own pre-Christian experience. Rom 8:28-30 “has implications for an understanding of the doctrine of predestination, [but] it was not the apostle’s intention to formulate such a doctrine in these verses” (p358). Rom 9:6-29 teaches unconditional individual election to salvation. Rom 11:26 is tentatively understood to speak of “the elect of Israel of all time” (p451) being saved through jealousy at God blessing the Gentiles. Rom 14:1-15:6 describe a conflict between Jewish Christians along with possibly proselytes (“the weak”) “who practiced essentially Jewish customs”, and Gentile Christians with some Jewish believers (“the strong”) “who felt no obligation to practice these customs” (p510). 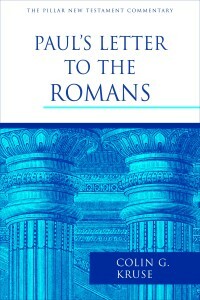 Kruse is concise, careful and comprehensible throughout; impressive considering this is a Romans commentary. One can easily become bogged down in the minutia in this letter, but Kruse mostly avoids this pitfall and keeps the big picture in view. This, combined with the verse-by-verse format, certainly enhances the ease with which one could turn to any given verse and obtain relatively straightforward and uncluttered commentary on it. The footnotes take up about 1/5 of a page on average, where most interaction with other scholars takes place. A glance at the author index shows that the most regular interaction is with Byrne, Cranfield, Dunn, Fitzmyer, Jewett, Moo, and Wright. Though released in 2012, I could not find any reference to material more recent than 2006, which was surprising. Of note are the 47 Additional Notes sections scattered throughout. These relegate the more technical and/or lengthy discussions to their own section. Examples include “Gentiles Who Do The Things Required by the Law”, “The Works of the Law”, “Adam’s Sin in Jewish Literature”, “Hope in the Pauline Corpus” and “Kissing”! These help keep the commentary tidy, and allow for further specific research when desired. Sometimes assigning fuller discussion to its own section results in a repetition of argumentation in both the commentary and the additional note or undefended conclusions in the commentary. However, these sections are of considerable help to the reader. At times, Kruse’s commentary is scant or inconclusive. Examples include the above quote from Rom 8:28-30, confessed ignorance as to Paul’s intention for quoting Ps 69:22-23 in Rom 11:10 (“[it] is not easy to see how Paul wanted this quotation to function here” [p426]) and no explanation on what “prophecy” actually is (p470). Another example is found in Kruse’s treatment of the ever-controversial Romans 5:12. Kruse presents four options for interpreting “because all sinned” (ESV), but then does not provide any criticism of these nor a concluding opinion of his own. The Pillar series’ verse-by-verse structure is a two-edged sword. It is easy to dip in and read up on a verse, but it also results is repetition and the author being forced to explain the material in order and comment on each verse in isolation. Of course, the paragraph-style commentaries (like the BECNT series) have their own drawbacks too. The Pillar series is based on the NIV, but Kruse finds fault with it on several occasions for “obscuring” Paul’s intentions (p155. C.f. 211, 394, 402). In one instance he appears to prefer descriptive rather than imperative participles in Rom 12:9-13, but then resigns to comment “on the NIV translation, which treats the participles as imperatives” (p475). Other disagreements include, but are not limited to, Rom 2:23, 28; 3:22; 4:13, 16; 7:1; 8:5; 9:30; 10:4; 12:1, 2. One’s appreciation of Kruse’s Romans will vary. Except for Romans 2:14-16, Rom 11:26 and a few others, the conclusions largely neighbor those of Moo and Schreiner. However, Kruse is newer, slightly less technical and briefer (although not as new as it appears, as mentioned above). While I would prefer Moo or Schreiner, this would serve nicely as a humble substitute for those uninterested in the level of depth reached by these scholars. I recommend this commentary to students since it is easier to grasp and comprehend. Unfortunately, the commentary offers little by the way of fresh ideas or presentation. Kruse even sometimes refrains from giving his own view. I’d prefer to read a poorly argued view than what sometimes happens: a series of quotes from others, then the revelation that he himself is undecided. At worst, this falls into little more than a summary of the views of others, often containing large quotations in the place of original material. However, the Additional Notes remain excellent and in many ways pull this commentary up to the next level and help it stand on its own. Colin Kruse’s Romans is recommended for serious students and pastors, particularly those who want a newer, shorter and less technical commentary than others such as Schreiner and Moo, but more extended than others such as Osborne or Stott. Many thanks to IVP UK for providing a review copy of this book. Their generosity did not affect my review.